Muscles produce macroscopic forces via interaction of actin filaments and myosin – a molecular motor. Motor proteins form filaments in skeletal and heart muscle cells forming a periodic structure with actin filaments. These collections of filaments are grouped together into sarcomeres that are the basic contractile units. Sarcomeres can be activated by increasing the intra-cellular calcium concentration induced by nerve signals. Schematic structure of sarcomeres. In activated muscles myosin motors walk to the plus ends of the actin filaments shortening space between the Z-discs, which represents a sarcomere. Surprisingly, sarcomere length oscillations have been found without calcium dynamics. 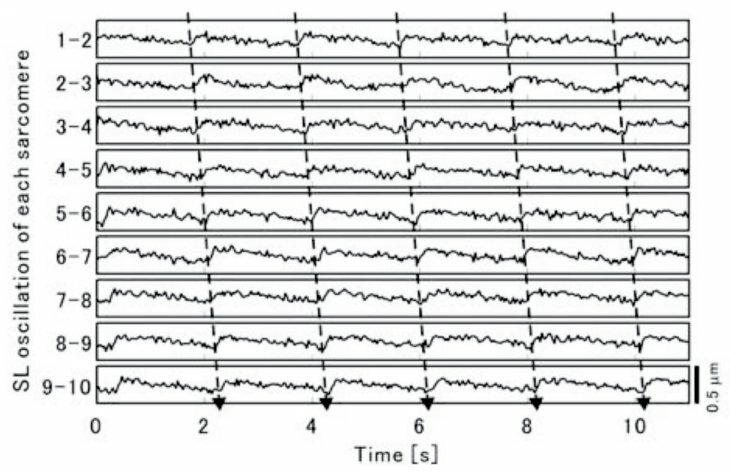 Even wave phenomena were observed. Contraction waves propagate bidirectional through muscle fibers. They appear spontaneously within the fiber, can annihilate or pass through each other. 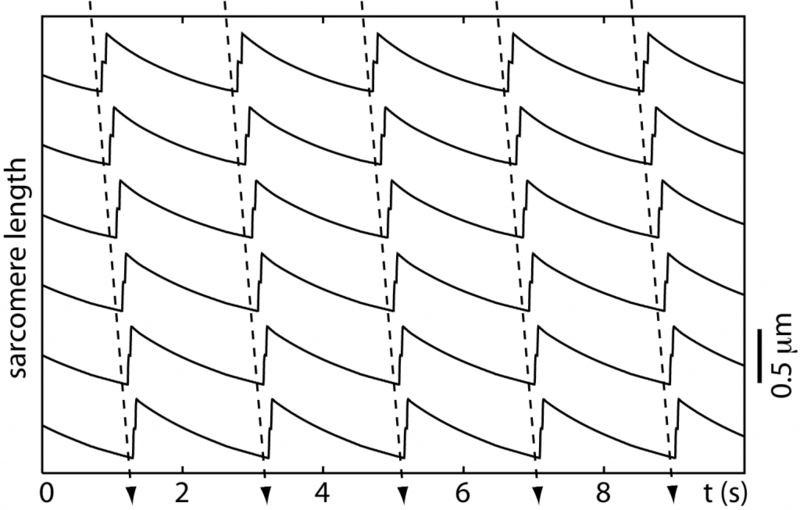 Contraction waves in a single muscle myofibril. Contraction waves in muscles. Waves emerge on either end, propagate and annihilate each other. 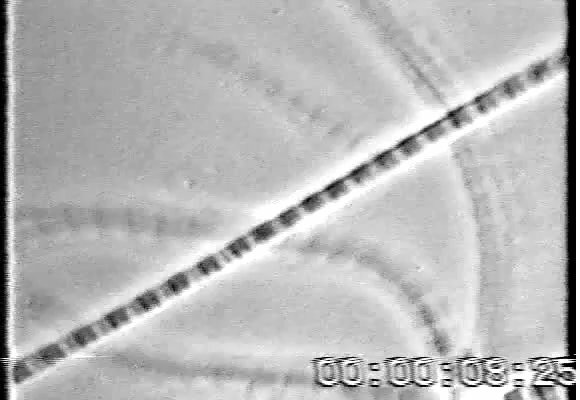 We propose a microscopic description of myofibrils based on a chain of identical half-sarcomeres, which contain all mechanical essential elements. These include elastic elements, motor molecules and integrity elements. Theoretical model of a half-sarcomere including all mechanical relevant components. The half-sarcomere elements can oscillate spontaneously. Chains of the elements exhibit waves similar to the ones observed in the experiments. Waves in chains of model sarcomeres. Single sarcomeres oscillate with a typical saw-tooth like shape. 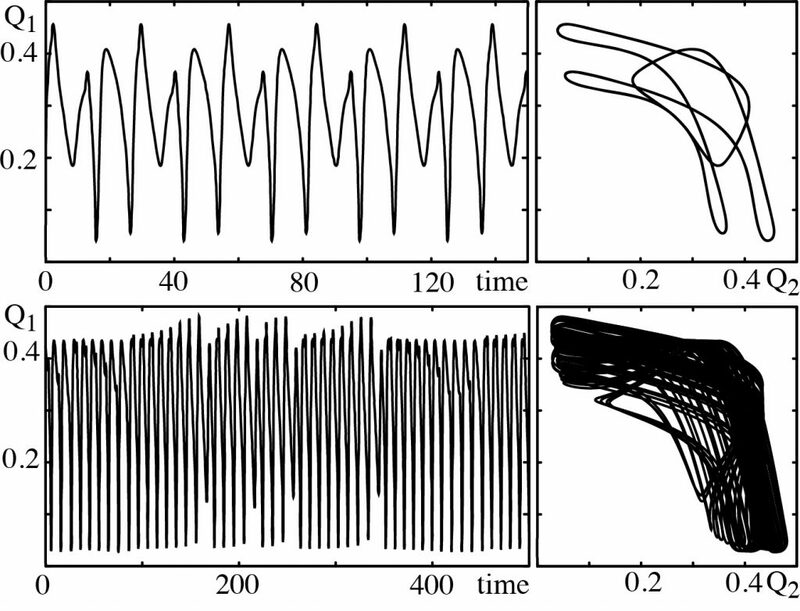 Oscillations of adjacent sarcomeres are slightly phase-shifted leading to wave propagation. 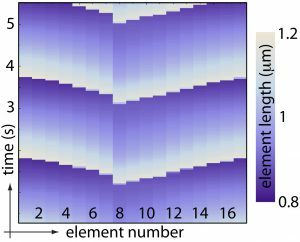 Wave propagation in chains of model sarcomeres. 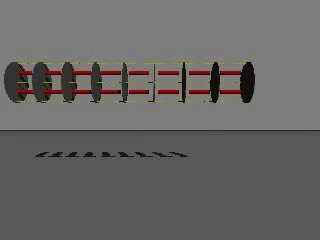 Simulation of spontaneous muscle waves. One possible mechanism, which may explain spontaneous waves in muscular tissue, is based on a dynamic instability: Ensembles of molecular motors dynamically generate stress in an elastic tissue. As soon as the stress reaches a certain level, the motors cannot hold the tension anymore and collectively release the tension. For certain parameter values κ half-sarcomeres do not oscillate in length. In some regime small amplitude oscillations can be found, while for lower values large-scale length oscillations emerge. Due to the non-linear nature of this process, muscles act as an excitable medium. 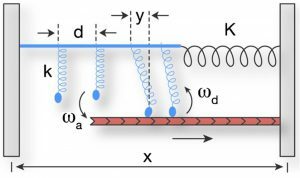 In the figure the sarcomere length can take huge turns before getting trapped in a small amplitude oscillations. A small external perturbation can re-induce large length change. Muscles are excitable in the sense, that even a small perturbation can lead to large-scale dynamics, which by no means reflects the amount of perturbation. Muscles can show excitable dynamics. A small perturbations lead to large-scale dynamic effects. 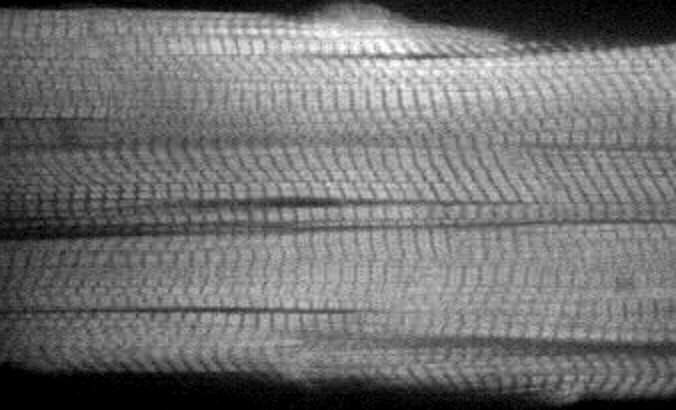 Muscle half-sarcomeres can show complicated, but regular oscillatory behavior. 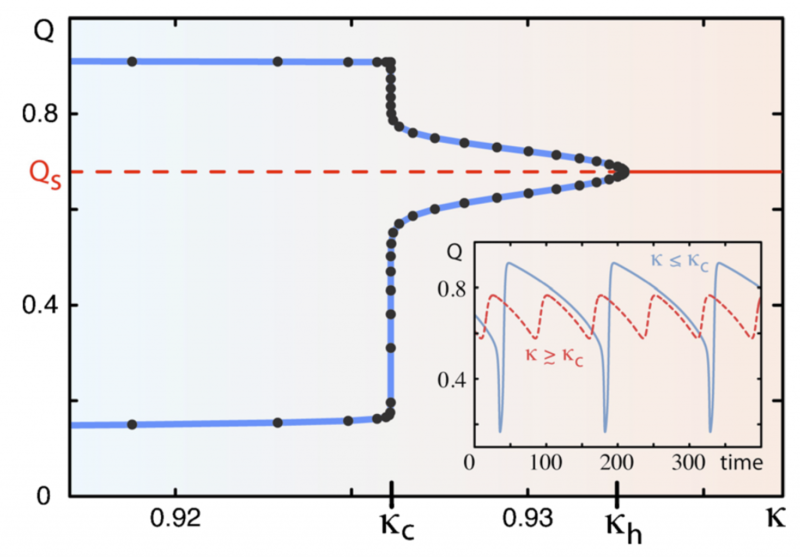 These dynamic states recover from small perturbations thus cannot be easily destroyed. However, there are parameter value ranges, where chaotic dynamics takes over. 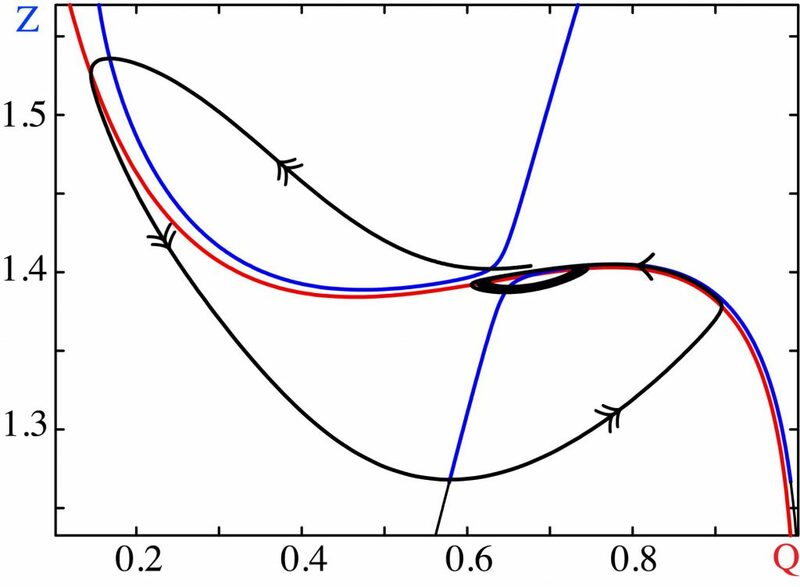 Chaotic motion is as well a predictable dynamics but in contrast to regular dynamics it is unstable since small perturbations lead to vastly distinct dynamic states. Besides oscillatory behavior (upper row) we find muscles to show also chaotic length changes (lower row).